The RB2011 is a low cost multi-port device series. Designed for indoor use. The RB2011 is powered by RouterOS, a fully featured routing operating system which has been continuously improved for fifteen years. Dynamic routing, hotspot, firewall, MPLS, VPN, advanced quality of service, load balancing and bonding, real-time configuration and monitoring - just a few of the vast number of features supported by RouterOS. The RB2011iL-RM includes a new feature - power injector on Ethernet port 10 - it can power other PoE capable devices with the same voltage as applied to the unit, which means less power adapters and cables to worry about. The maximum load on the port is 500mA. It is powered by the new Atheros 600MHz 74K MIPS network processor, has 64MB of RAM and a Level4 RouterOS license, as well as five Gigabit Ethernet ports and five Fast Ethernet ports. 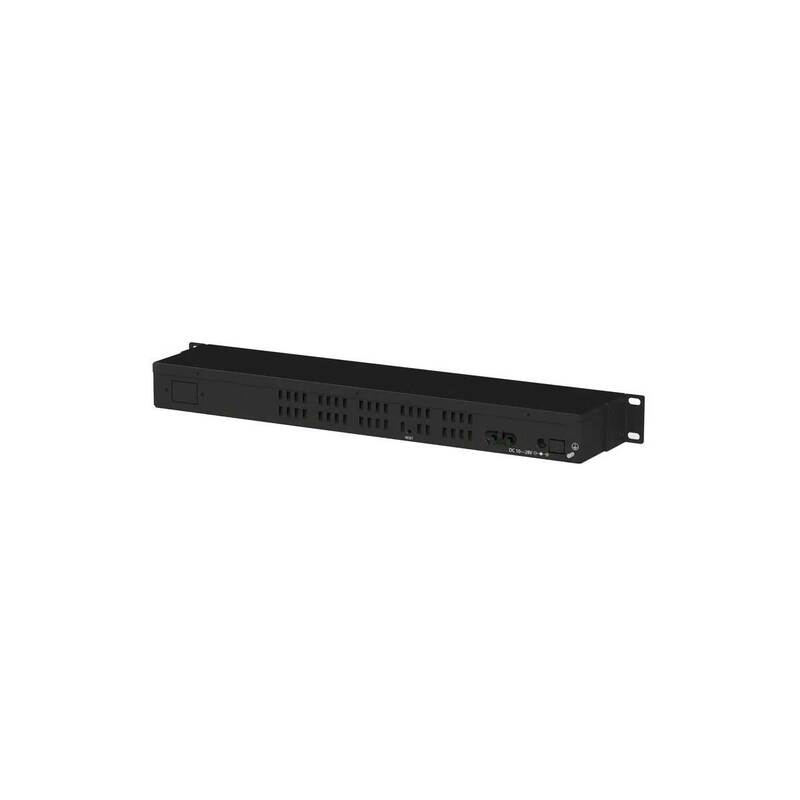 The RouterBOARD 2011iL-RM comes with 1U rackmount enclosure and power supply.